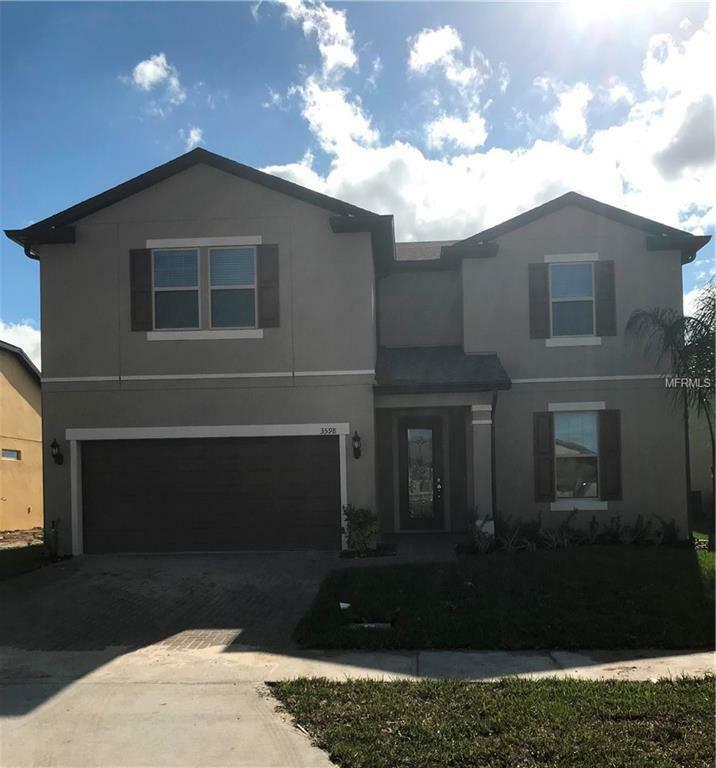 Don't miss out out on this gorgeous new build!This 5 Bedroom 4 bath home with a loft has rustic tile flooring throughout the commons areas and plush carpeted bedrooms. The first floor features open entryway, bedroom with full bath, laundry and mud room, gourmet kitchen, family room and master suite. The upstairs leads to a large loft, bedroom with en suite bath, 2 secondary bedrooms and full bath. Relax on a large open patio overlooking the water views. The community features a pool and playground. Small pets permitted.